1. The right to have access to his or her education records. A student has a right to inspect and review his or her education records within 45 days following receipt of a request. Student must submit a written request. 2. The right to seek to have the records amended. A student has a right to request that inaccurate or misleading information in his or her education record be amended. A request to amend records must be in writing and a student must identify the part of the record he/she deems inaccurate and why it should be changed. A school is not required to amend education records in accordance with a student’s request, the school is required to consider the request. If the school decides not to amend a record in accordance with an eligible student’s request, the school must inform the student of his or her right to a hearing on the matter. The FERPA amendment procedure may be used to challenge facts that are inaccurate, it may not be used to challenge a grade, an opinion, or a substantive decision made by a school about an eligible student. 3. The right to have control over the disclosure of personal identifiable information from the records (except in certain circumstances specified in the FERPA regulations). A school may not disclose personal identifiable information from a student’s education records to a third party unless the eligible student provides written consent, except to the extent that FERPA authorizes disclosure without consent to school officials with legitimate educational interests. Exceptions are financial aid and another school in which the student seeks or intends to enroll and directory information. Directory information is information in the education record of a student that would not generally be considered harmful or an invasion of privacy. It is information that is considered public and can be released without the student’s permission (name, current enrollment, full-time or part-time status, dates of attendance, class standing, field(s) of study, awards and honors, degree(s) conferred (including dates), local address as a student, permanent address as a student, local telephone number, e-mail address, past and present participation in academy activities, date and place of birth, previous institution(s) attended, schedule of classes, physical factors, photographic or videotaped image. Students may place a block on directory information by completing the Withhold Release of Directory Information Form and submitting completed form to the Registrar. A school official is a person employed by the institution, serving on the board of trustees, a student serving on an official committee, a volunteer or contractor who performs institutional services or functions under the direct control of the school. School officials (professor, instructor, administrator, health staff, counselors, attorneys, clerical staff) has a legitimate educational interest (need to know) in order to fulfill his or her professional duties. 4. The right to file a complaint with the Department. Students should read college catalog and website to become familiar with policies and procedures. If a student feels his/her FERPA rights have been violated, the student has a right to file a complaint. The student should state his/her allegations as clearly and specifically as possible and include supporting documentation. For more information, refer to the degree program catalog. Protect the privacy of student education records. Establish the right of students to inspect and review their education records. Provide guidelines for the correction of inaccurate and misleading information. Seek to amend their education records when there has been a legitimate error recorded. Have some control over the release of information from their education records. When a student reaches the age of 18 or begins attending college, FERPA rights are transferred to the student. Parents may obtain directory information at the discretion of the college. Parents may obtain non-directory information with a signed consent from their child.  Refer to the degree program catalog.